Survey of the known structural alterations is presented at the subcellular, cellular and organ levels with an attempt to correlate them with the primary enzyme catalytic defect and with pathways representing the main substrate influx into the deficient lysosomal system; the latter of which has turned out to be largely unknown. All these structural changes are presented as a basis of the known functional sequels responsible for the altered biology of the storage lysosomal system and of storage affected cells and which, ultimately, lead to cell death, and organ destruction and failure. Cell types expressing lysosomal storage are listed, some of which are less well known, while others are suggested as candidates for future studies. 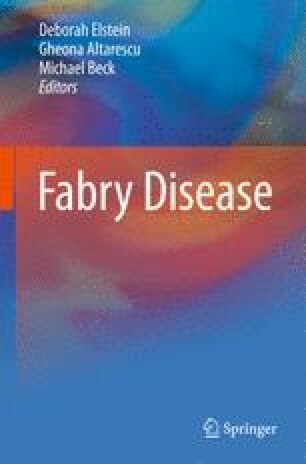 Fabry disease (alpha galactosidase deficiency) unlike other lysosomal enzymopathies is unique as it lacks a (lethal) infantile form.